The old Duquesne Incline lower station on West Carson Street, c. 1900. 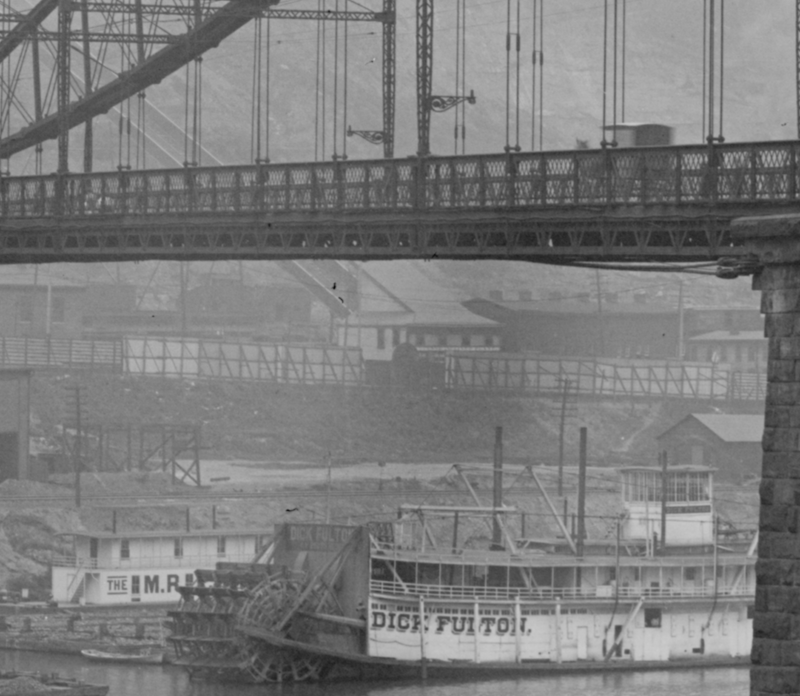 Detail from the image on pages 44 and 45 of “Pittsburgh’s Inclines”. Image courtesy of Historic Pittsburgh, the Digital Research Library at the University of Pittsburgh. Under the original Point Bridge (1877-1923) that spanned the Monongahela River, is a one-story wood-frame building with an extended roof line where incline cars entered and exited on the tracks that ascended from the building to the upper station in Duquesne Heights. Come and ride the Duquesne Incline on Saturday, August 18th and drop by the upper station between 11:00 a.m. and 1:00 p.m. and say hello. 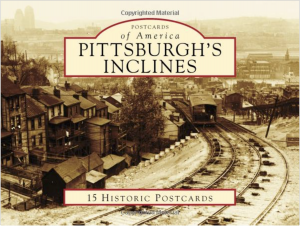 I’ll be talking about Pittsburgh’s inclines and signing my new book (available at Duquesne Incline’s gift shop). I hope to see you there! This entry was posted in Inclines on July 31, 2018 by Donald Doherty. Figure 1. Monongahela Incline upper station on Grandview Avenue, June 24, 1908. 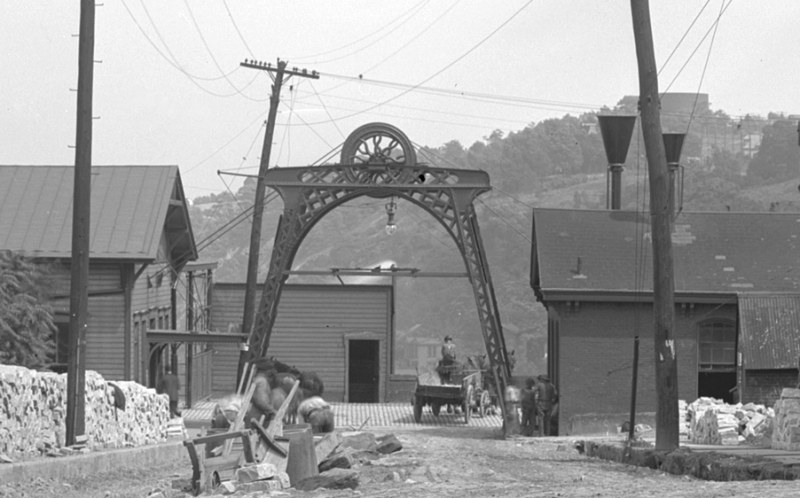 The twenty-two foot high iron truss spanning Grandview Avenue at the center of this image fed two cables from the boiler and steam engine house (at right, with the two stacks) into two holes (portals) in the incline’s upper station at left. Those were the very cables that were each attached to an incline car. One pulled a car up the hill while the other let a car down. Detail from the image on page 33 of “Pittsburgh’s Inclines”. Image courtesy of Historic Pittsburgh, the Digital Research Library at the University of Pittsburgh. 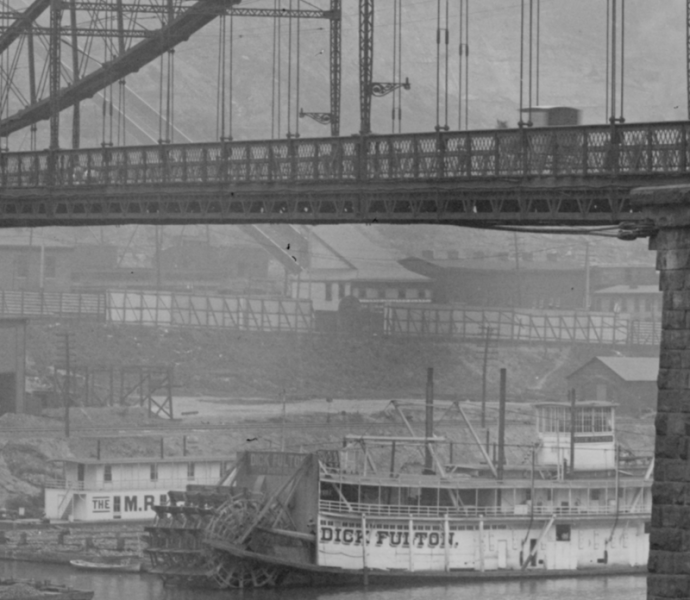 All of Pittsburgh’s inclines were originally powered by steam engines. Figure 1 above shows the Monongahela Incline’s upper station in 1908 more than 25 years before electric motors replaced its steam engines. Tap or click on the image and zoom in to see details of the two steel cables that passed over a wheel set about 22 feet above Grandview Avenue between the steam engine house at right and the upper incline building at left. Those of you in Pittsburgh, Pennsylvania tomorrow Sunday, July 1st please drop by Classic Lines between 2:30 and 3:30p.m. for “Pittsburgh’s Inclines” discussion and book signing. I hope to see you there! This entry was posted in Inclines on June 30, 2018 by Donald Doherty. How Many Inclines in Pittsburgh? Many people have heard about or visited Pittsburgh’s two running inclines, the Monongahela and Duquesne Inclines. However, did you know that more than a dozen inclines once operated in Pittsburgh? The first passenger incline, the Monongahela Incline, opened in 1870. The Mount Oliver Incline quickly followed in 1871. Six years later, in 1877, the Duquesne Incline began moving passengers between riverside and hilltop. By the end of the 1870s, Pittsburgh had three inclines operating south of the Monongahela River. 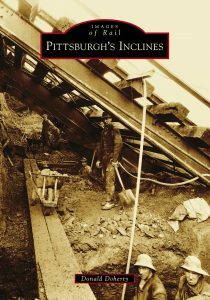 Over the following decade, during the 1880s, at least 11 new inclines were built and operating on Pittsburgh’s hillsides. I’m confident that the 15 inclines listed above once traversed Pittsburgh’s hillsides. I have not seen photographs of the Ridgewood or Troy Hill Inclines (please contact me if you have!) but images of the other 13 exist even if they are mostly rare. 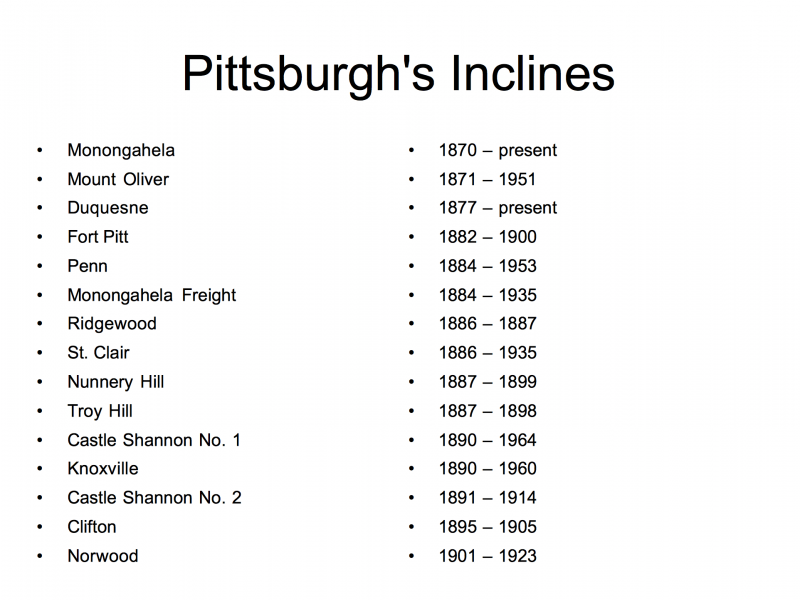 No one is sure of the total number of inclines that once existed in Pittsburgh. There were probably more than the 15 listed above. Perhaps we’ll find new photographic evidence for more of these engineering marvels from the pre-automobile age! This entry was posted in Inclines on June 12, 2018 by Donald Doherty.